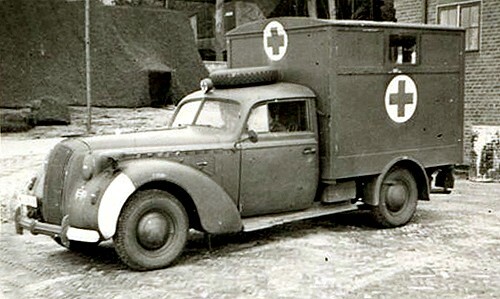 In pre-war Germany Opel's role was very similar to Ford's in America. 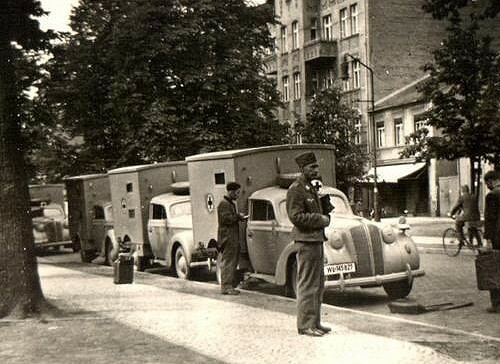 Opel cars were cheap, reliable and modern, but occupied the medium and small classes in German car production. Opel's Admiral was introduced in 1937 as an attempt to challenge large luxury cars from Horch, Mercedes-Benz and Maybach. The car was equipped with a 3.6 litre straight-6 engine with a top speed of 132 km/h (82 mph). The major versions were a 4-door saloon and a cabriolet, but 2-door cabriolets, Pullman limousines, hearses, and other body variants were also made in small quantities by different car-body manufacturers. 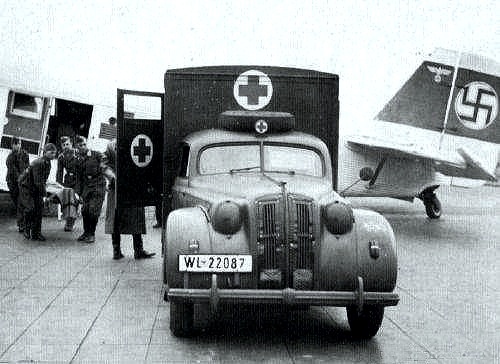 In 1939 Opel production switched to military vehicles. 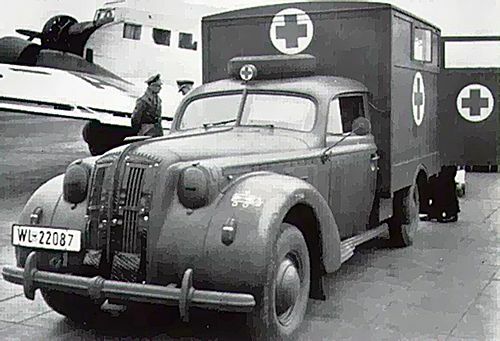 Because the Admiral utilized the same engine as the 3-ton Opel-Blitz cargo trucks, the production of the Admiral was canceled. A total of 6404 Admirals were manufactured in 1937-1939. 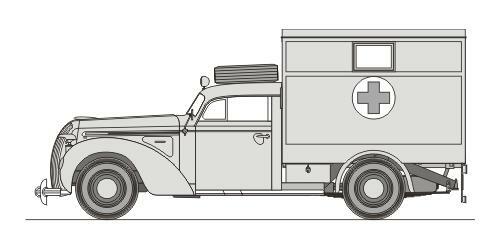 During the war Admirals were used extensively, primarily as senior officers' staff cars. 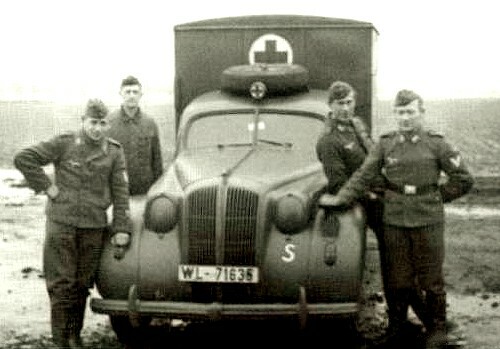 Some special military variants were built using Admiral chassis, including Kubelwagens and other cargo and ambulance types. 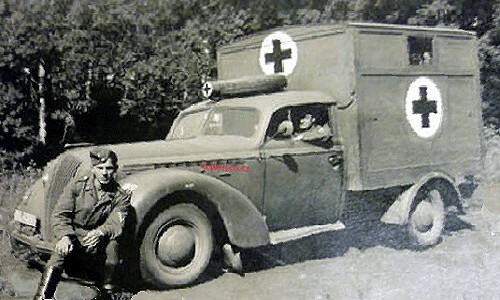 This kit presents the ambulance on an Opel-Admiral chassis, as used by the Luftwaffe.